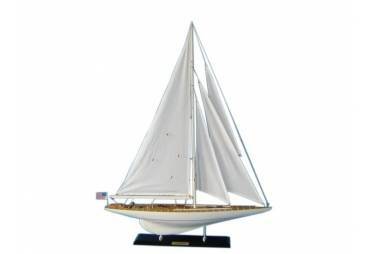 Requires minor assembly. 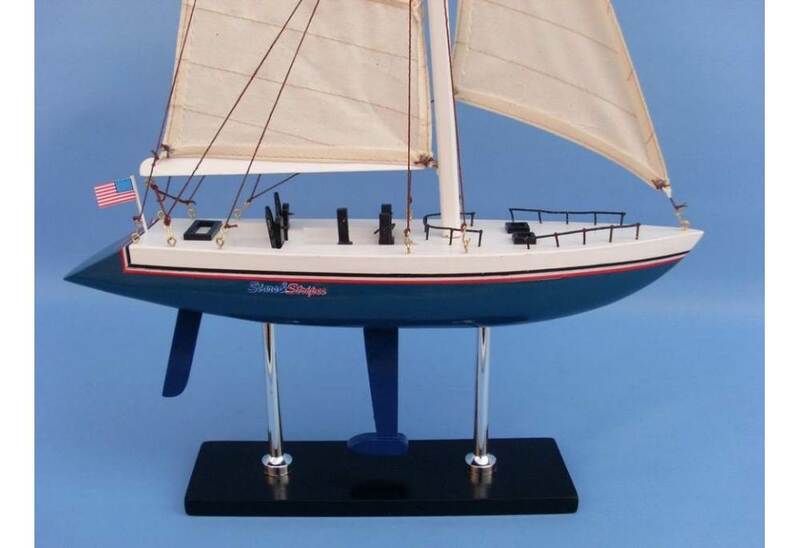 Clip on the hooks easily. 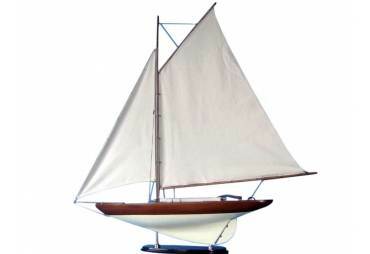 There is no rigging to tie and it takes just a few minutes. 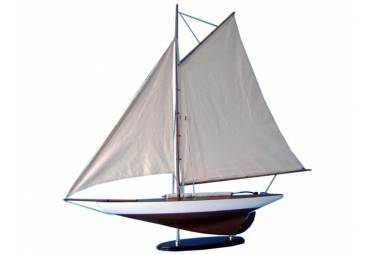 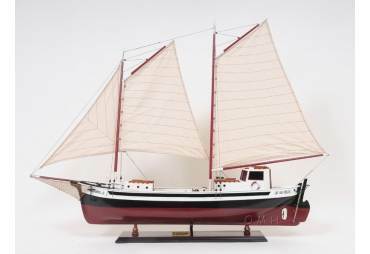 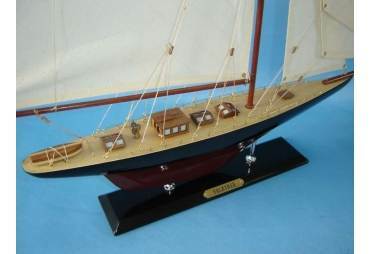 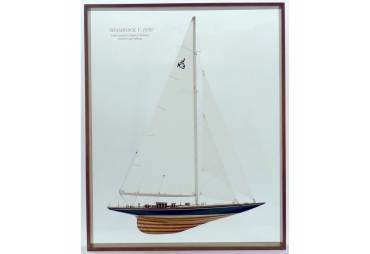 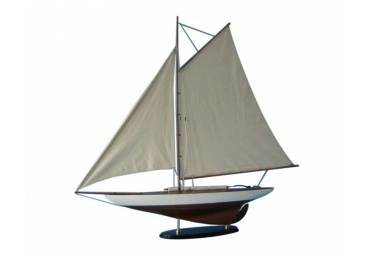 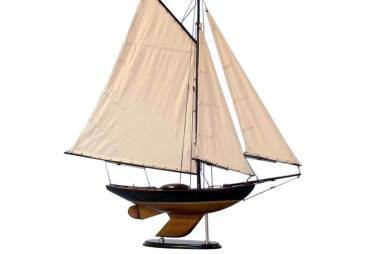 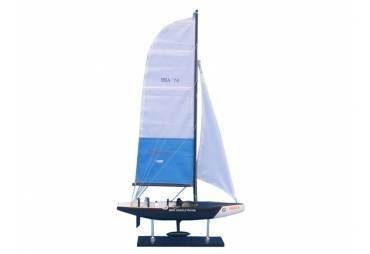 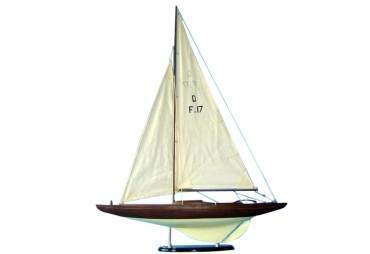 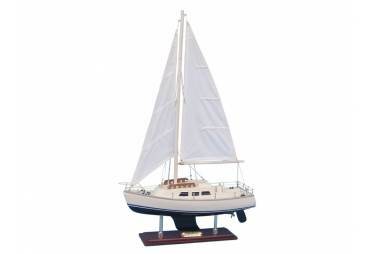 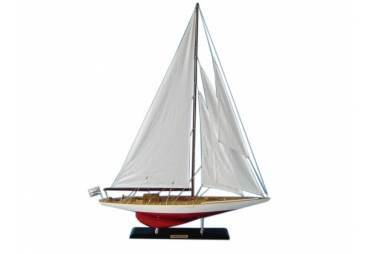 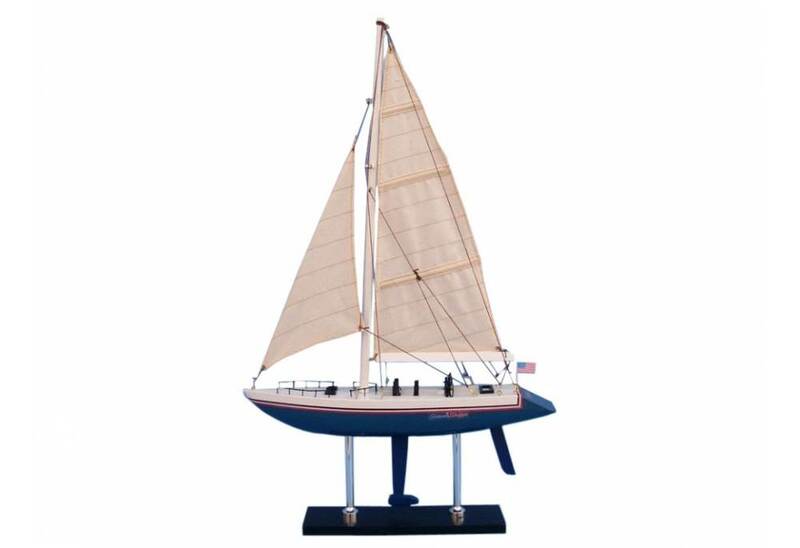 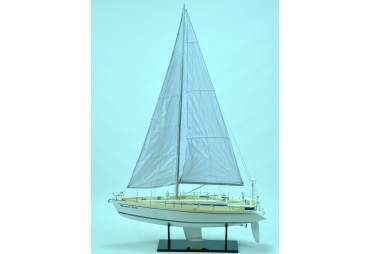 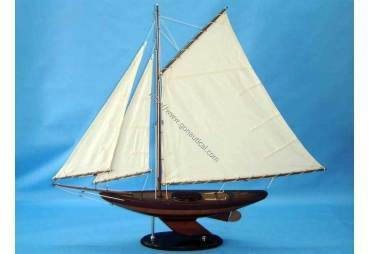 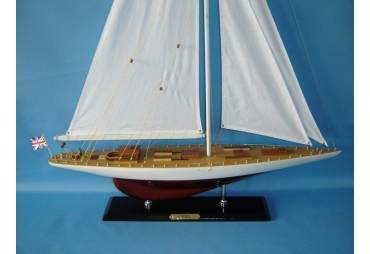 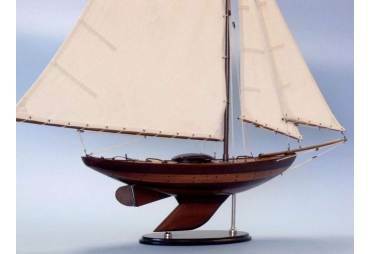 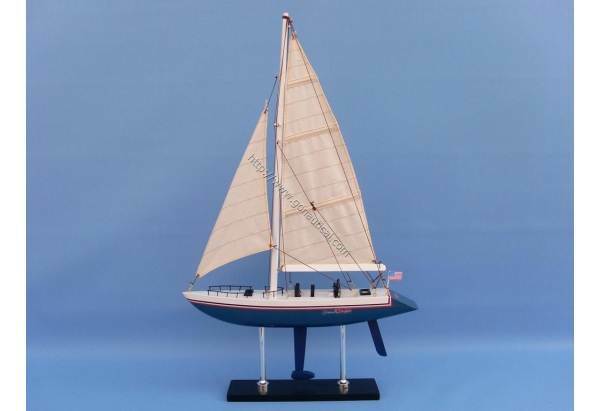 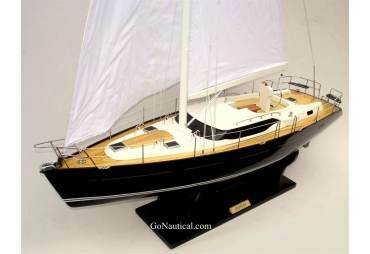 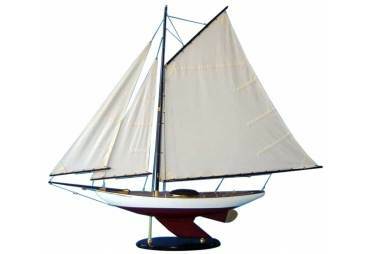 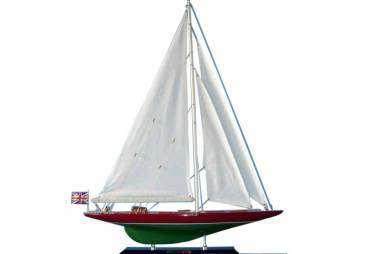 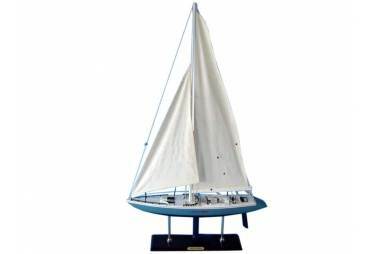 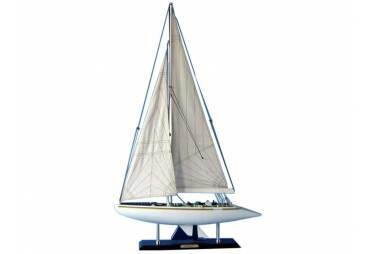 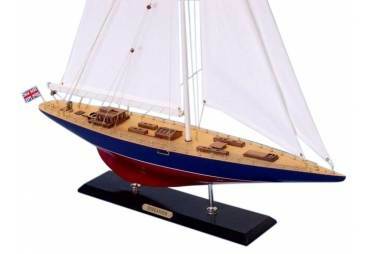 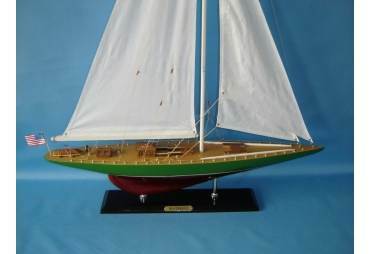 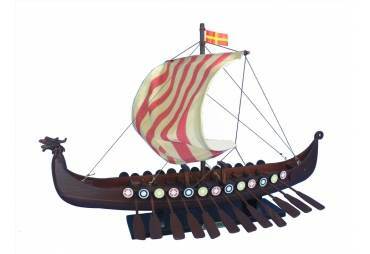 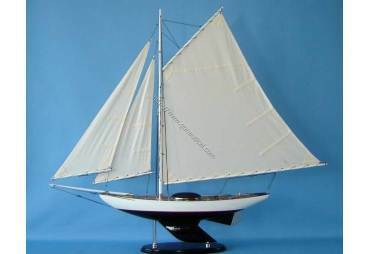 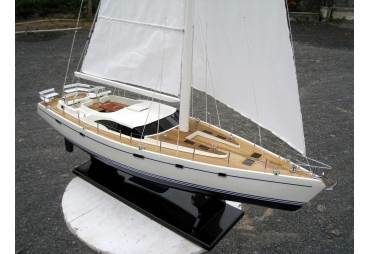 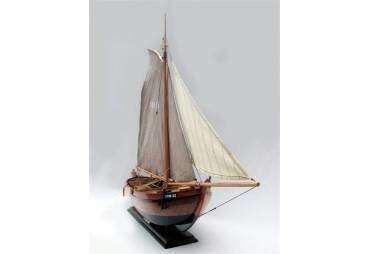 Our handcrafted model yachts have Sails fabricated with high detailed stitching. These wooden model yachts are carefully painted to match the original Stars and Stripes yacht. 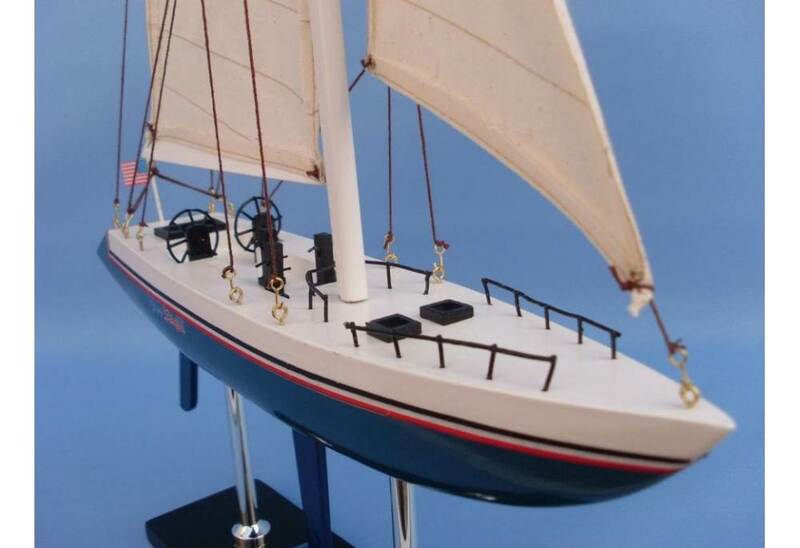 There are Contains no plastic parts on our yacht model. 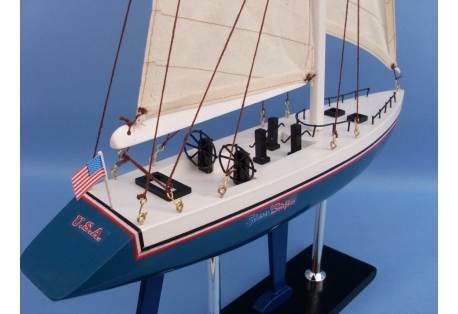 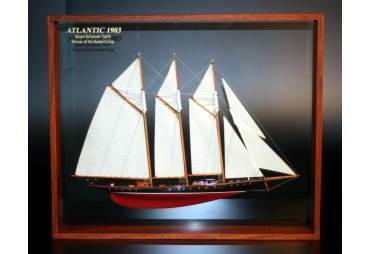 To build this model a large amount of research was done from a great quantity of sources such as the original plans, drawings, paintings, pictures, and visiting the actual America's cup racer.